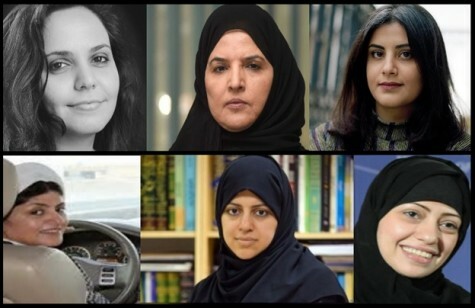 On 13 March 2019, nine women human rights defenders were brought for the first hearing of their trial in Riyadh. They were among 11 women defendants. The court was changed at the last minute to the Criminal Court from the Specialised Criminal Court (SCC), which was set up in 2008 to deal with cases related to terrorism. It is believed that international pressure is one of the main factors for this change. Women human rights defenders who appeared in court are Loujain Al-Hathloul, Aziza Al-Youssef, Eman Al-Nafjan, Amal Al-Harbi, Hatoon Al-Fassi, Shadan Al-Onezi, Miyya Al-Zahrani and Abeer Namankani, in addition to Nouf Abdelaziz who was not present for unknown reasons. They were arrested starting in May 2018 as the authorities began rounding up women’s rights defenders. Other women’s rights defenders who are in prison but have not yet been brought to trial include Samar Badawi, Nassima Al-Sadah and Mohammed Al-Bajadi. Also present at the hearing on 13 March were a woman who can’t be identified, and Dr. Rokaya Mohareb, an academic at Princess Nora bint AbdulRahman University, who was arrested during the crackdown on Islamic figures in September 2017. 1. Communicating with people and entities hostile to the King. 2. Cooperating with journalists and media institutions hostile to the King. 3. Providing financial support to foreign adversaries. 4. Recruiting persons for information detrimental to the security of the Kingdom. The women were informed about the charges only during this hearing. Reliable reports confirmed that the charges were based on evidence of their engagement with international mechanisms such as the United Nations system and on communications with other human rights defenders. The defendants were not allowed to defend themselves nor to be represented by a lawyer. They were told that the charges are based on confessions that they have already signed. The hearing was postponed to 27 March 2019. Also, some information received suggested that Articles 5 and 6 of the Anti-Cyber Crime Law, which provides for sentences of up to five years in prison, could be used against them. The Gulf Centre for Human Rights (GCHR) deplores in the strongest terms this mock trial, which lacks all fair trial standards and due process for women human rights defenders who have worked peacefully in the defense of women’s rights in their country, and calls on the international community to intervene immediately to stop this farce.